This blog has been supporting eBook Readers for a year and many DRM Removal methods were explained separated with each plugin in a single article. So, now, there is a simpler way to remove DRM from mostly any eBook extension with only one ultimate Calibre DRM Removal plugin. We don't want DRM Restrictions on our eBooks! You can follow this tutorial for instructions about how to remove DRM from eBooks simply by using the Calibre (DeDRM) Plugin. If you have any question or concerns about whether is it legal or not you are welcome to see our DRM-Removal Policy. Anyway, if you wish to start by downloading the DeDRM Plugin right now, go ahead and scroll down directly to the download section at the end of this article. This is the the fastest way to remove DRM from your eBooks for free by using Calibre (Free e-Book Tool) through DeDRM (Calibre Plugin) and then you can convert your e-Books to any format to make them capable of working on any tablet or other eBook Readers. Read your eBooks on any device! So, technically it is going to decrypt DRM Encryption on your eBooks and it is meant to function without having to install any dependencies but only having Calibre installed, of course. Do not send the (DRM-Free) content to anybody else and keep it only for self-use and also keep in mind that the purpose of removing DRM is to enjoy your legally purchased Books or Media on other devices. 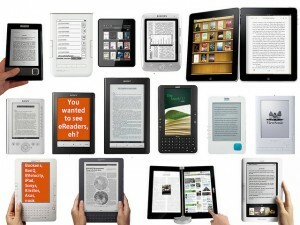 and many more, you can use it to unlock almost anything that works on Adobe Digital Editions ereader which is very nice. It is so easy to install Plugins to Calibre but there is something that you should consider when you are installing an Unofficial Calibre Plugins (which is the plugin we use to strip DRM). Actually, I wrote a full tutorial post on How to install a plugin to Calibre successfully. After you install DeDRM Plugin to Calibre you should configure it, please consider looking at the bottom paragraph before visiting tutorial link for a short answer. To make story shot, go to (Calibre > Preferences > Plugins > Load Plugin From File) and browse for the DeDRM plugin file to install it. Please makre sure not to click on "Get Plugins to Enhance Calibre) as it reserved for official ones only, and you should be fine to proceed to the next step. In most cases, you will not even need to configure anything, once you install and run the DeDRM Plugin it will use current information on your PC to find location of your DRM Encryption Keys and Installation Folders for: Amazon Kindle For PC OR Adobe Digital Editions (on Windows and Mac OS). Note: Some options for eBooks will need to be configured manually by putting your name and your credit card number into the configuration dialogs which you have bought the eBooks with them. So, go ahead and proceed to the next step (only get back if you face trouble), well. If you for some reason couldn't get it working then go and configure it manually by navigating to the (Preferences> Advanced> Plugins) and look for the DeDRM Plugin under "File Type". Highlight the DeDRM Plugin and click (Customize plugin). Move your mouse to highlight the plugin (DeDRM under the "File type plugins" category) and click on the "Customize Plugin" button and a dialog will appear like the Picture Below. 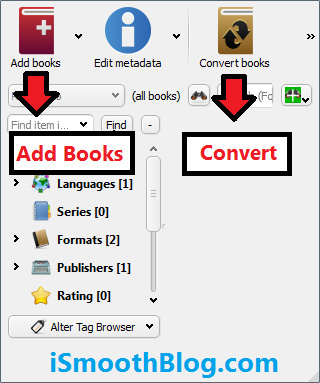 This dialog contains a set of buttons describing different type and sources of eBook. Regarding to the type of your eBooks, you will need to click on the corresponding button to your eBook Format and enter the required information in the sub-dialog that will pop up. You can find help section at the top right of each dialog, that explains further about the required information that you will have to put for a successful DRM Removal attempt. Once the DeDRM Plugin is installed and configured, you can simply add a "DRM-ed eBook" to Calibre and the "DRM-Free eBook" will be imported into the Calibre Database. Just import your eBooks to Calibre. All plugins (including the DeDRM Plugin when used on eBooks under wine) should also work on Linux. Download link below have many handy plugins for DRM Removal which also remove DRM of several eBook formats but your only going to install the DeDRM Calibre Plugin to decrypt your eBooks which is "DeDRM: Ultimate DRM Removal Plugin" classified under Calibre Plugins inside our download section page (credits for DeDRM Plugin goes to Apprenticealf). One more thing, I strongly recommend that you read Apprentice Alf’s Blog to learn further about the DRM Removal tools.